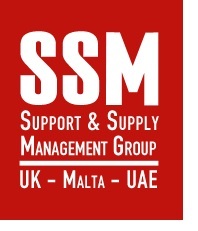 SSM Group Ltd. is a market leader in the fields of training and consultancy intervention within the Supply-Chain¸ Logistics and Transport Management industry and environment. SSM Group was established in 1997 with the aim of enhancing human resources skills in logistics¸ transport and supply chain management. In 1999 the Group was awarded the accreditation from the Chartered Institute of Logistics and Transport in UK¸ with the responsibility of providing education and best practice in Malta and the Euro-Med region. Eventually¸ the Group was also entrusted to develop links to various North African countries. Our mission is to provide premier knowledge¸ accreditation support and capacity building services in our field of specialisation. Our vision is to build on our success. The Group’s Consultancy Professional Services strives to aid clients in meeting their customer service needs¸ while at the same time addressing the critical issues detailed above through the application of best practices in supply chain management and technology.